Time & Pay offers a wide variety of very affordable time clocks (data collection devices). These devices can be used to track movement from dept. to dept., job to job, location to location. Restaurant owners can track tips. They are easy to implement, easier to use. For just about the same cost as an “old fashioned” punch time clock, good business managers can utilize any of these devices to eliminate much of the work involved in tracking hourly employees time at work and truly control and define your labor costs. Our ATA systems will also help businesses make sure you are able to provide the information you need to comply with the Affordable Care Act and Labor Dept. regulations. Web based clocks utilizing any basic PC with access to the web. There is little cost associated with this option. Here is more info on this Automated Time Clock. A basic, low-cost clock that communicates via an analog phone line. Here is more info on this Automted Time Clock. Ethernet clocks utilizing fingerprint technology. Hand print technology also available. (Eliminates “buddy punching”.) Here is more info on this Automated Time Clock. 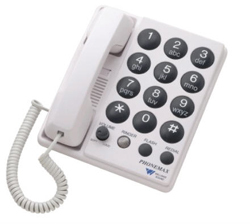 Telephony capability (cell or land line) that allow employees to clock in and out any where there is a phone. Control restrictions, including GPS, are available. There are numerous other time clock options available. Contact Time & Pay today to learn how you can utilize this latest technology to better manage your payroll, your employees and your business and save money.